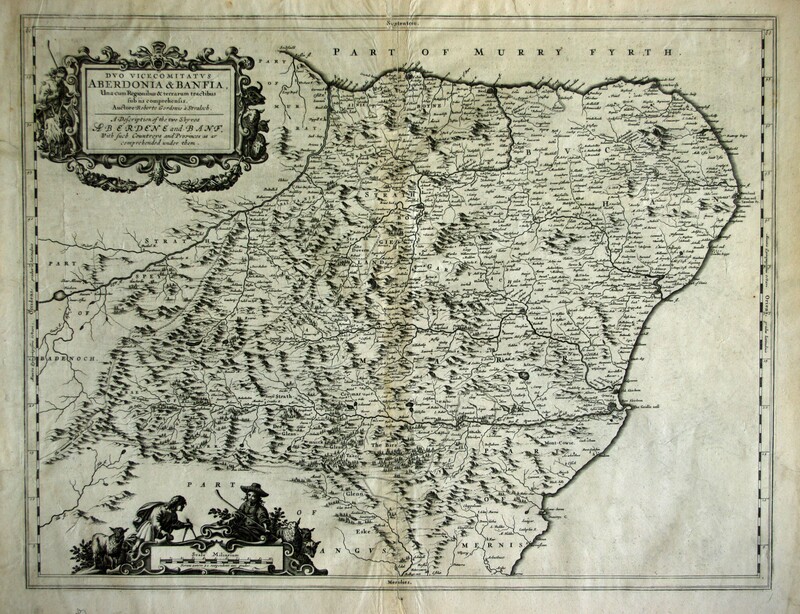 Blaeu's map of Aberdeen & Banff, French text. Condition&colon; Repairs to margin and centrefold. Centrefold a little crinkled. Uncoloured.